Insight Vacations has announced a new ‘Set Your ‘I’ On A Magical Journey’ agent incentive and campaign focusing on Italy and Ireland. 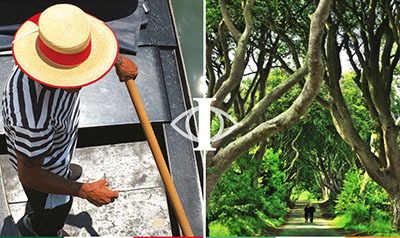 Each week through until 31MAR, 2019, Insight Vacations will highlight a different unique selling point of these destinations, and agents make a booking will receive prizes and have a chance to win a trip to Italy or Ireland. Insight has also announced the launch of a new dedicated Facebook page for Canadian agents, and is encouraging them to join by following this link. Advisors must be a member of “The IV Insider” Facebook page to be eligible for the campaign incentive and offer. $50 optional experience voucher per person will also be offered for consumers to use on all trips to Italy and Ireland. For more information, please contact your local Sales Manager or visit www.insightvacations.com.